Pacific mackerel Japan is a common fish name found in Scombridae family which is a close relative of tuna fish. 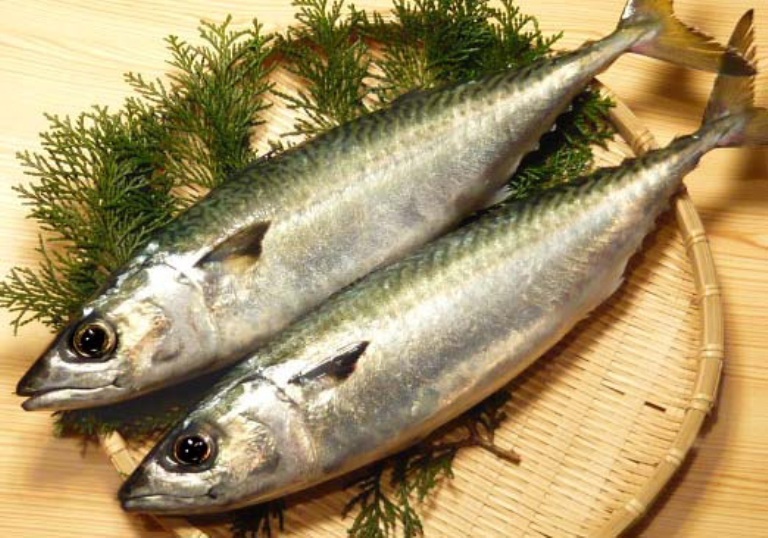 Aside Japanese pacific mackerel that also known as Japanese seerfish, they still other various types of mackerel including King Mackerel, Atlantic mackerel, cero mackerel, and Spanish mackerel. Japanese seerfish can grow up in length up to 100 cm with 10.57 maximum in weight. 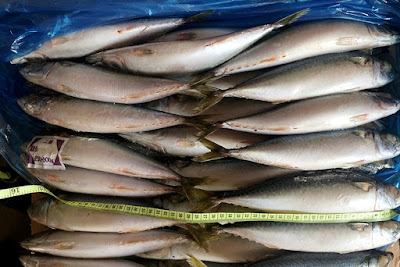 The Japanese mackerel is an important stock for East Asia fisheries with South Korea becomes the largest catches followed by Japan and Taiwan. Pacific mackerel is very popular for canned product, fillets, steaks, and frozen. 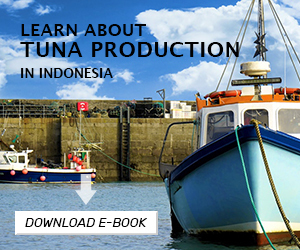 They tend to be cooked by grilling, frying, baking, and consumed raw for sushi or sashimi. Pacific mackerel Japan fish rich in nutrition such as protein and omega 3 fatty acids which make the fish becomes one of the most popular sea foods for protein and fatty acids sources. There are fats that can be created by human body from other fats or other materials, however the case are not go that way with fat like omega 3 fatty acids. These essential fats cannot be created with our body and thus we need to include the sources in our daily meals. 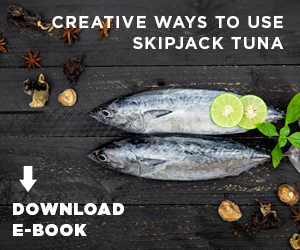 One of the easiest and cheapest omega 3 sources is mackerel fish along with tuna and sardines. Omega 3 contains EPA and DHA which good for cardiovascular health. Vitamin K is as important as omega 3 in order to maintain our heart stay healthy. Vitamin K is good for our bones and help to prevent disease like osteoporosis. In addition, vitamin K can be very beneficial for blood clot system and they can prevent the hardening of arteries because of calcification. Recommended amount of vitamin K for both women and men are different one to another which depends on the age and gender as well. Women should get 90 micrograms per day while men should intake 120 micrograms each day. Eating mackerel as your diet plan can help to lower the risk of heart disease. Heart disease such as heart attack and stroke can be prevented with the right diet menu. According to AHA (American Heart Association), consume minimal two servings of fish like mackerel can help to promote the heart health because mackerel has nutrition to improve the condition of human blood. When you eat, your body will get calories intake which your body does not use right away and in the end, they will turn into triglyceride. The triglyceride will be stored to your cells and they cannot be absorbed by the blood and when you have more calories in your body than the calories that you burn from activities, the triglyceride level tend to go higher. Higher triglyceride level offers bad side effect for the body and that’s why you need to change your lifestyle by exercising regularly plus change your diet plan by eating monounsaturated fats food resources such as Pacific mackerel Japan brands product. Just like vitamin K, there is important vitamin B-12 presence in mackerel fish which is essential for DNA formation and red blood cells. Maybe you can take it by drink or eat a supplement, but it is always the best to get the intake from animal products such as mackerel, eggs, and dairy. Moreover, it is very recommended that your body, at least get about 2.4 micrograms of vitamin B-12 each day and canned Pacific mackerel Japan can provide more than 100 percents your body need to get in just one serving so cost efficient as well. 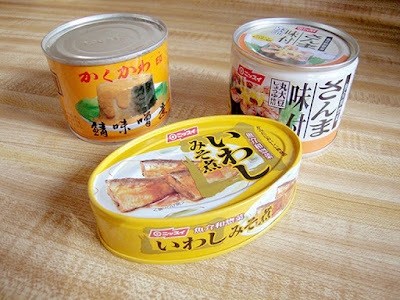 Eating canned or fresh Pacific mackerel Japan surely gives a lot of healthy advantages, but the amount of consumption still need to be limited. This is because mackerel also bring mercury level that can be found in most of the ocean fish such as tuna and sardines as well. That’s why, do not or never consume too much mackerel each week to prevent over excess of mercury content in your body.